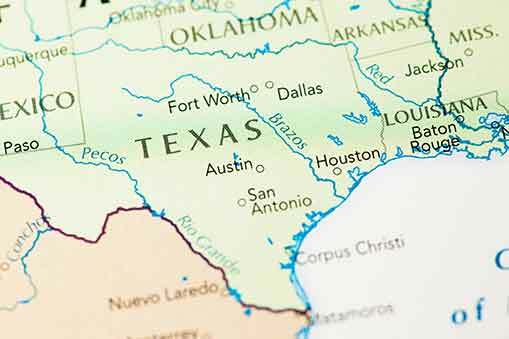 Ramping up a case against San Antonio for freeing illegal aliens, the Texas Attorney General’s Office is warning city officials not to destroy documents related to the release. The mayor, police chief, city manager and city attorney were ordered by AG Ken Paxton to “preserve all relevant materials” connected with the release of a dozen illegal aliens over the Christmas holiday. SB 4 — Texas’s anti-sanctuary law – requires local officials to cooperate with federal authorities on immigration matters. Violators can be subject to criminal fines and removal from office. Though San Antonio, the nation’s seventh largest city, is not a declared “sanctuary,” Mayor Ron Nirenberg and Police Chief William McManus have openly opposed SB 4. Sources in the police department say McManus — who endlessly repeats the nonsensical urban myth that cities are safer when illegals are shielded from arrest or deportation — delayed notification of federal agents. When Homeland Security Investigations finally got to the scene, agents were told they weren’t needed and that local police were handling the matter. We don’t know what school funding has to do with this, but off-point obfuscation and passive-aggressive obstruction of a duly enacted state law are no way to run a city. San Antonio has spent taxpayer dollars fighting SB 4 in court. Now City Hall appears determined to flout it on the streets. Attorney General Paxton is right to dig for the facts, and to hold local officials accountable to the fullest extent of the law. Democrats do not, want part, some of ,they want all the DACA Votes for 2018 Elections “THIS is the MAIN ISSUE” Let there be not MISTAKE in the ACTIONS of the Democrat Party! First, I am a first-generation immigrant from Europe. The reason I chose in 1970 the US to LEGALLY immigrate to was that it was ranked #1 as the country to be born in. And it still held the spot in 1989. Back then, there were no issues with illegal immigration, and the black ball players were happy to play ball and collect fat checks for doing so. NO MORE! Today we are ranked at #17, and most likely sliding! The Swiss are #1 and 9 more European countries ahead of us. That is a total of 10 European countries! YES, we need Trump to Make America Great Again and pull us out of this deep, deep hole our dumb politicians created by advocating COUNTERPRODUCTIVE diversification from which only the minority groups benefit (Mexico is ranked a disastrous #40). Diversification DOES NOT work! You have too many cultures pulling in different direction, each one trying to push thru their selfish agenda. There is NO diversification in Switzerland, Norway, Sweden and the rest of the European countries ahead of us. EVERYBODY is on the same page looking ONLY after the interest of their LEGAL citizens. ANY outsiders are swiftly kicked out, and any children born to foreigners are automatically citizens of the country the parents came from. Only the child born with at least one parent being a citizen of the country the child is born in is eligible for citizenship. If it works there, why couldn’t work here? Do we really want to end up at #39? Most of these “children” are not from US CITIZENS. They were brought here ILLEGALLY, THEREFORE, they are not US CITIZENS. If they wanted to be LEGAL US CITIZENS, they would have APPLIED for US CITIZENSHIP. So, get OUT of OUR COUNTRY.